Posh Beauty Blog is back with more back to school beauty tips because the first day of schools right around the corner. Don’t stress about your back to school style! Keep your hair, skin and overall flair in check in the classroom and after school on the court with the following buys from got2b, Obagi, and London SOHO New York. Talk about a perfect score! Experience a salon quality blowout from home with the NEW göt2b mind blowing collection! Three fast-acting styling sensations make at-home blowouts a breeze- leaving your hair soft, shiny and frizz free for your first day at school. STEP 1: göt2b mind blowing quick shape mousse : Reduce blow dry time and increase styleability with IONIC+ System technology. Your hair is left voluminous, sleek, shiny and chic in a fraction of the time! STEP 2: göt2b mind blowing xpress dry styling spray: Spray mind blowing xpress dry styling spray from roots to tips of towel dried hair to expedite dry time, protect against heat damage and keep hair from tangling while blow drying. STEP 3: göt2b mind blowing fast dry hairspray IONIC+ Power and Micro-Diffuser Technology offers fast drying time and flexible hold so you can run your fingers through your hair to achieve the perfect blowout. 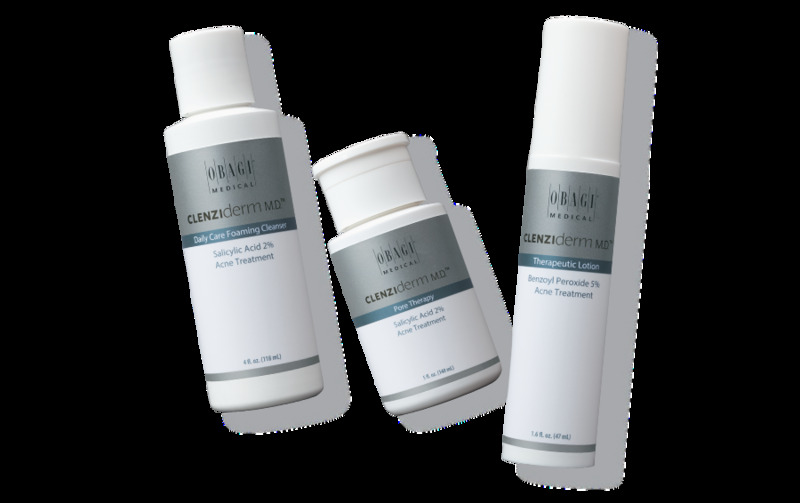 Obagi CLENZIderm MD System helps control acne for clearer, healthy-looking skin. A unique formulation of 5% benzoyl peroxide and salicylic acid treat existing acne while preventing future breakouts for picture perfect skin! Obagi CLENZIderm Daily Care Foaming Cleanser uses 2% salicylic acid to penetrate skin and cleanse deep into the hair follicles and pores. Obagi CLENZIderm Pore Therapy Toner unclogs pores and clears dead skin cells while preparing skin to deeply absorb the serums and lotions that will treat acne. The formula contains 2% Salicylic and acid to leave your skin residue-free and help minimizes blemishes. Obagi CLENZIderm M.D. Therapeutic Lotion is a must-have treatment that penetrates the pores and begins reducing acne below the skin’s surface. It includes a liquefied form of 5% benzoyl peroxide that is 1/10,000 the size of any other benzoyl peroxide available! Stay organized with the London SOHO New York Love Fest Double Zip Organizer. Store everything you'll need for daily touch-ups between classes like mascara, lip/eye pencils, as well as school essentials like highlighters, markers, and other school essentials. It’s the perfect size for your backpack or locker and it’s super stylish ($16.99; Target.com). Disclosure: Press samples were provided by the brand/PR for editorial consideration, product testing, photography and review. What are your back to school essentials? Leave your comments below!